Arthritis can be a debilitating disease, and if not managed properly, it can significantly lower your quality of life. But there’s no need to suffer from sore, achy joints: Various arthritis treatments are available to ease pain and prevent disease progression. 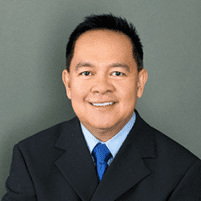 Call to schedule an appointment with Dr. Gilbert Sunio at Sunmed Health and Weight Management in Visalia, California, to learn more about the arthritis treatments available to you. You can also book your appointment online. Arthritis is a degenerative disease that causes sore, achy joints, making it difficult to perform even the most basic tasks. There are more than 100 types of arthritis and joint-related conditions; the two most common are osteoarthritis and rheumatoid arthritis. Osteoarthritis is a degenerative form of arthritis that happens with normal joint wear and tear associated with aging. Rheumatoid arthritis is an autoimmune disorder that occurs when your body’s immune system attacks its tissues. If left untreated, arthritis can lead to debilitating complications, which is why correctly managing the disease is so important. Arthritis can cause joint erosion, permanent joint damage, and damage to internal organs and eyes. If you suspect arthritis may be causing joint stiffness and pain in your life, Dr. Sunio can help. He will perform a physical exam, do blood tests, or complete imaging scans to determine if you have arthritis and which type you have. The treatment Dr. Sunio recommends depends on the type and severity of your arthritis. He’ll work with you to come up with a treatment plan you’re comfortable with. Managing the pain caused by arthritis is essential in maximizing your quality of life. If you’re ready to relieve the symptoms of arthritis, call Sunmed Health and Weight Management today or book an appointment online.